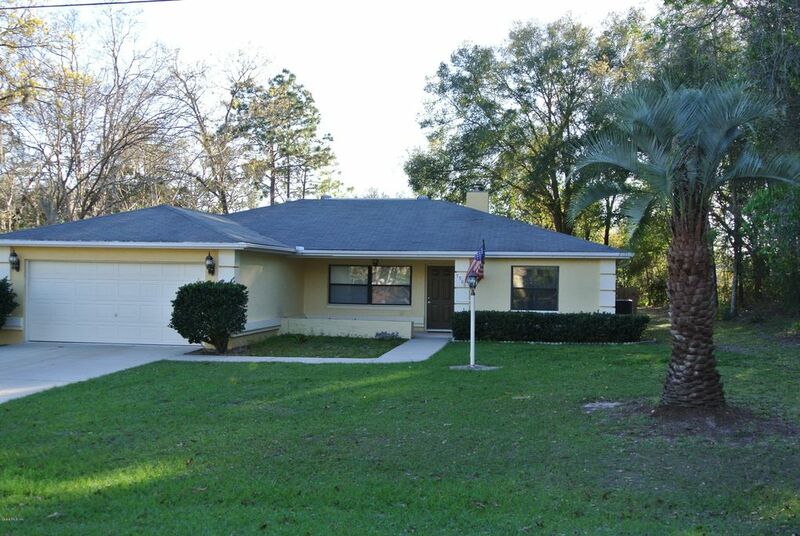 This move in ready home is on a fantastic oversized lot in desirable Whispering Pines. The wide front porch welcomes you into the spacious great room with wood burning fireplace. The dining area and kitchen are updated and open, perfect for entertaining. The spit bedroom floor plan has two guest rooms with sizeable closets and an updated guest bath on one side of the house and a master bedroom with walk in closet and spacious master bath on the other. Enjoy the big serene back yard from your enclosed back porch. The open patio is perfect for grilling or converse and roast marshmallows around the firepit. You must see this home to appreciate it. Call for your appointment today. Directions: SR 200 West, left on SW 60th, continue straight onto SW 62nd, left on SW 111th pl rd, home is on the right.